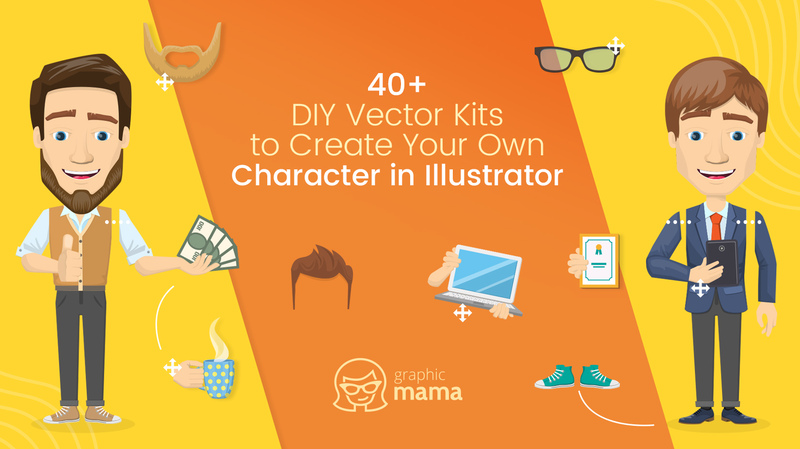 A collection of over 40 do-it-yourself vector kits + free creation kits to help you create your own character while having fun! 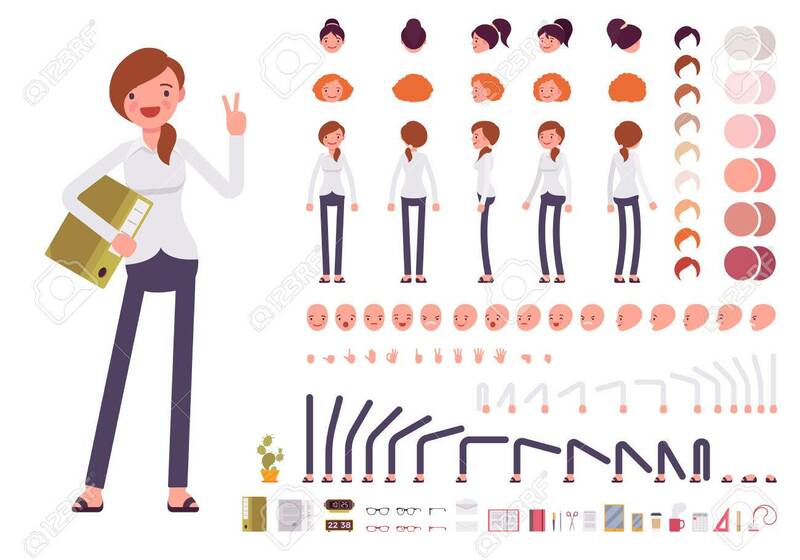 Digging out the perfect vector character for your print or web project out of millions of suggestions available throughout the web could turn into a real Mission Impossible sometimes. 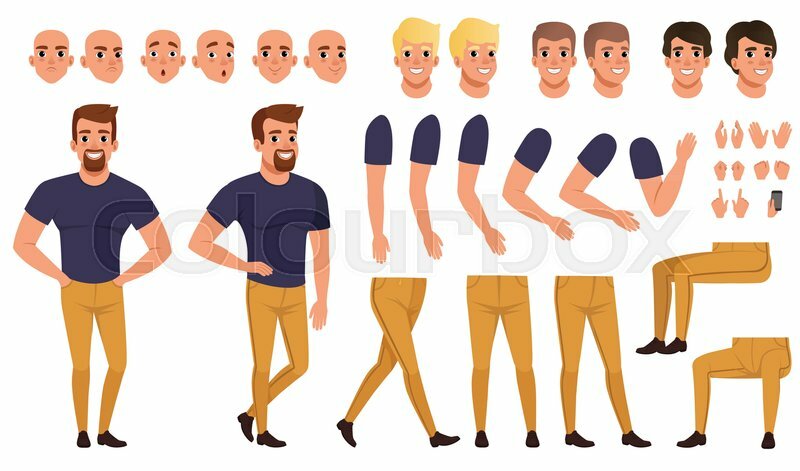 Even if you spot a vector character you are really fond of, it may turn out that this same character was used for other projects and you really want to spice up the things with a different look this time. 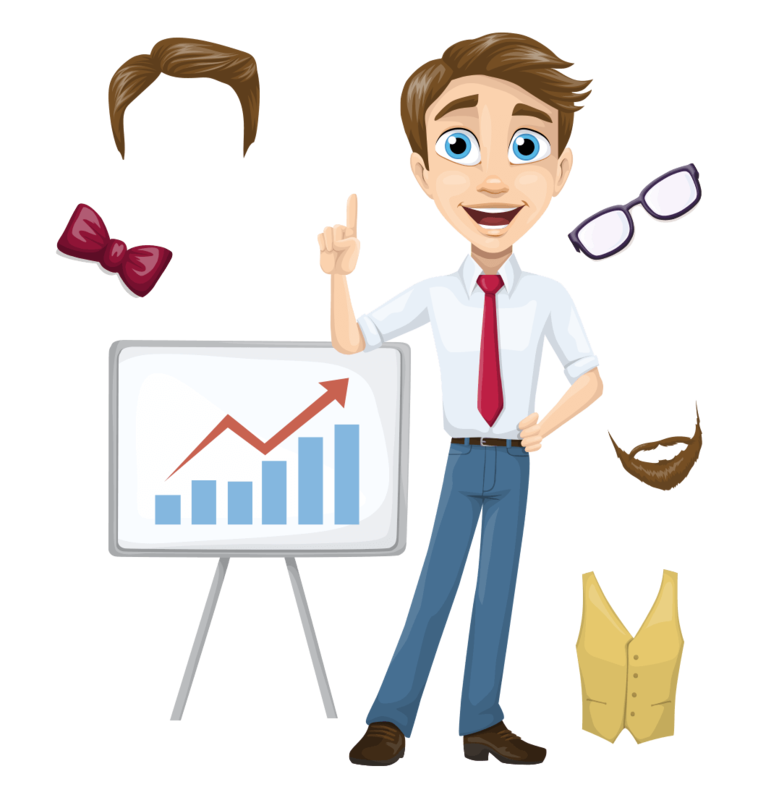 In such case, investing in a good DIY vector kit that lets you create your own character while you have fun at the same time is the perfect option. Not to mention that some of these sets actually come for free! 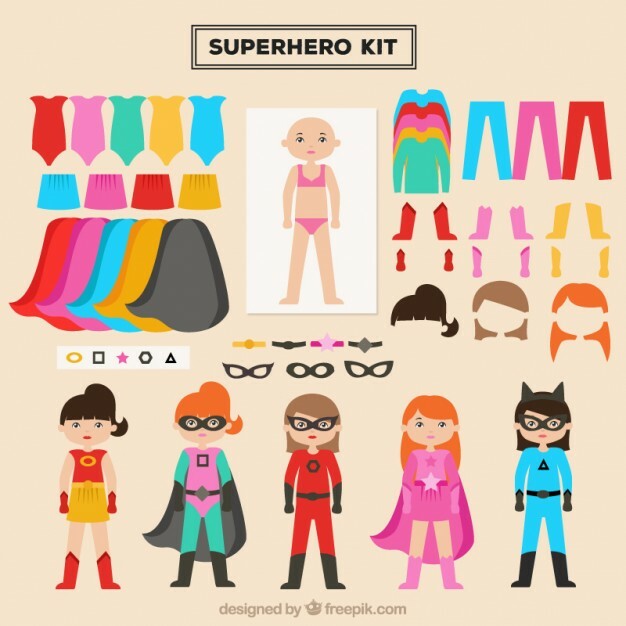 A creation kit for do-it-yourself cartoon characters works in favor of your budget and your imagination. Plus, you will end up with a unique looking cartoon fella that would certainly stand out from the rest. If you are still not sure how to create your own character using these DIY kits, don’t worry. You’ll quickly get the hang of it once you start putting elements together. In addition, some of these sets come with a collection of ready-made looks that you can use in your designs right away. 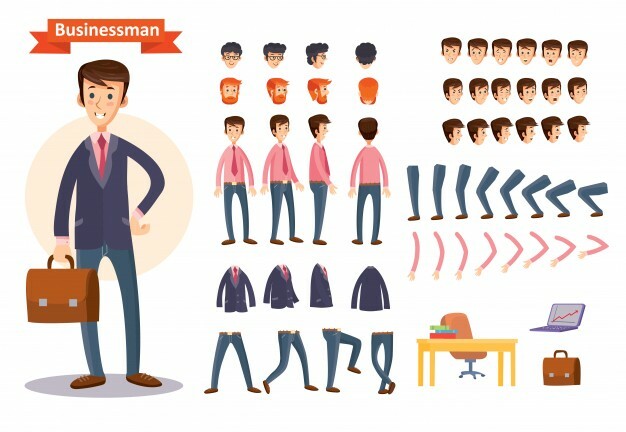 Today, we’ve prepared 40+ DIY vector kits to help you create your own character in Adobe Illustrator. Without wasting any more time, let the creation begin! 50 pre-made poses ready to download and use. 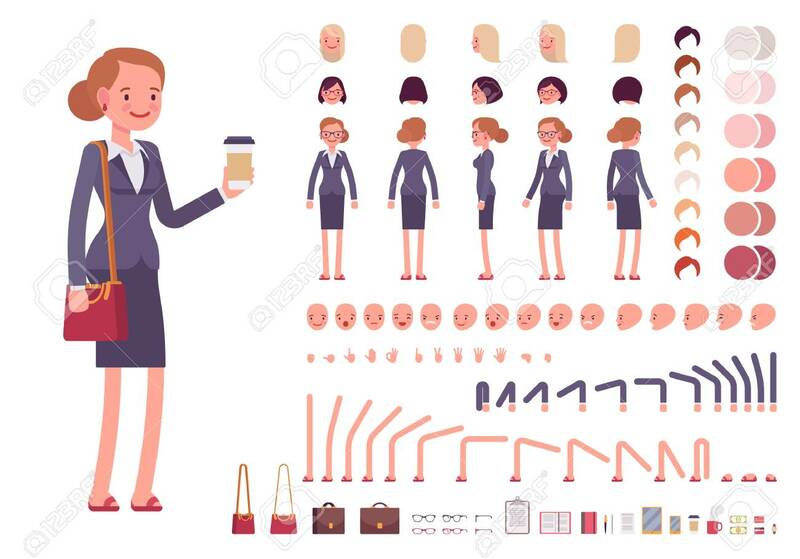 Over 100 graphic elements to create your own character businesswoman. 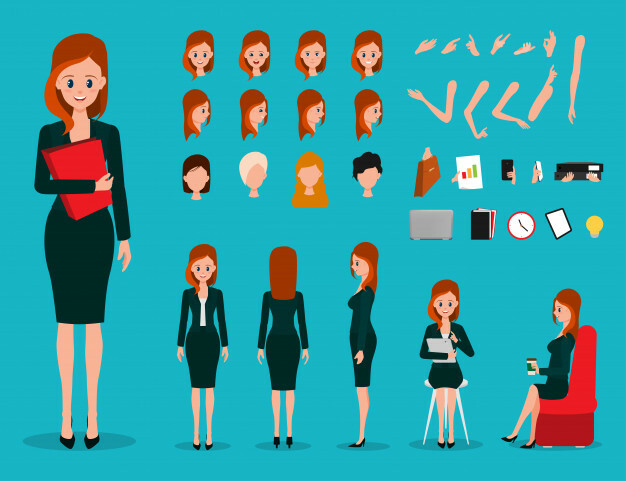 100 ready to download looks of different female professions. 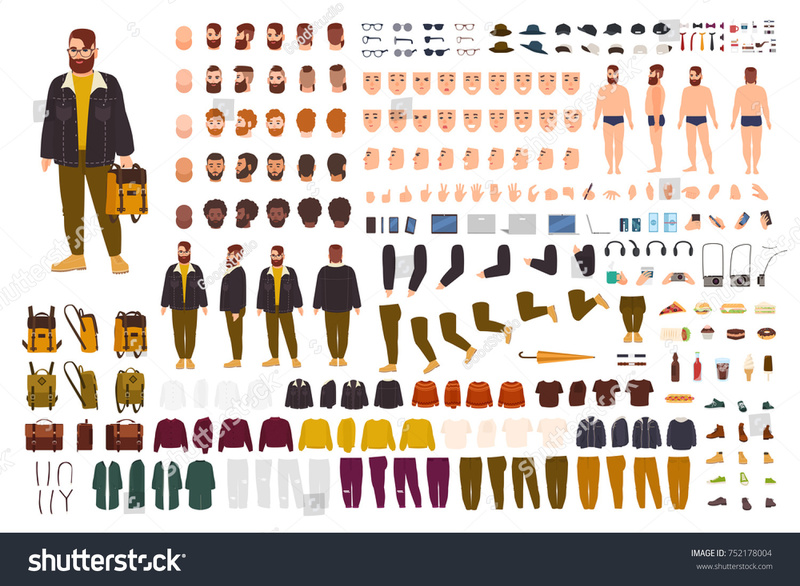 100 pre-made male cartoon characters of different jobs and professions. A creation kit in a flat style with subtle gradients. 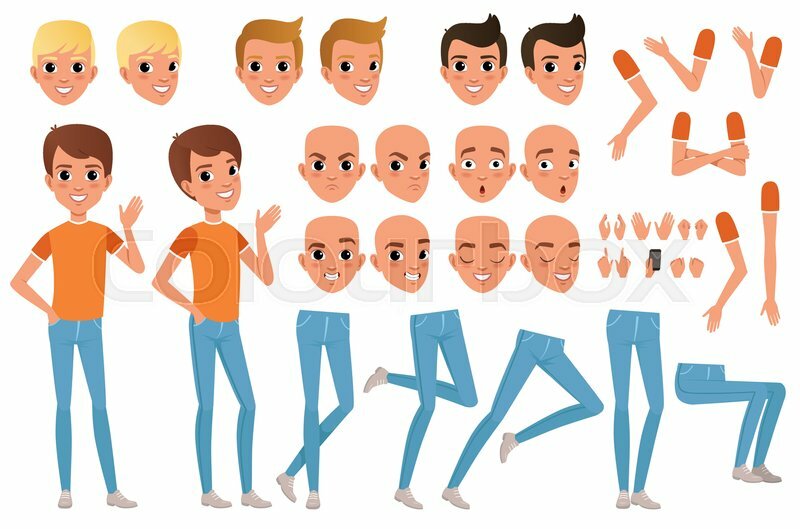 A diversity of elements: different view angles, facial expressions, hand gestures, and hairstyles. A DIY kit for flat cartoon characters with subtle gradients. Includes elements such as different head views, faces, hands, and haircuts. An attractive flat style with elements of shading. 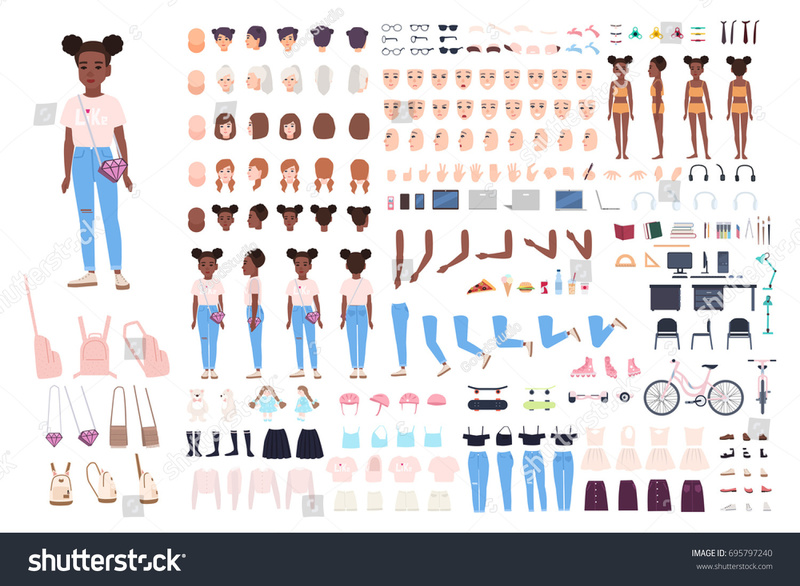 A variety of facial expressions, hairstyles and hair colors, arms, hands, and legs. 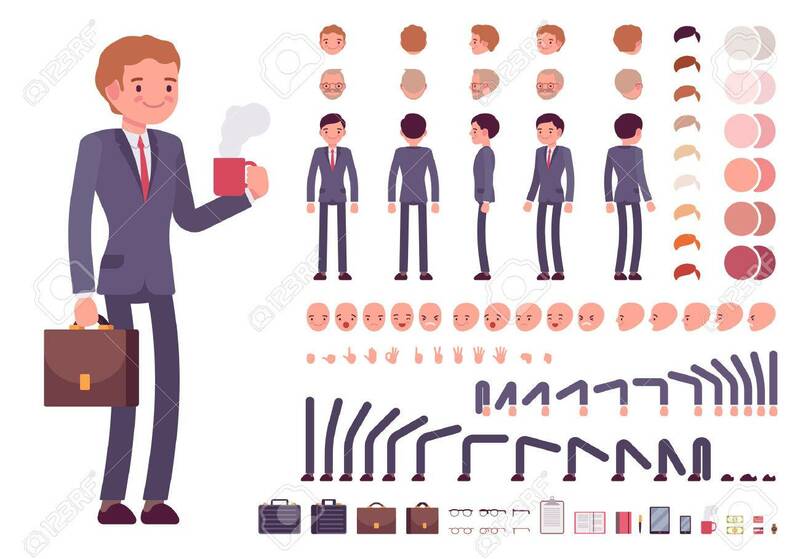 A handsome man vector character in flat style. 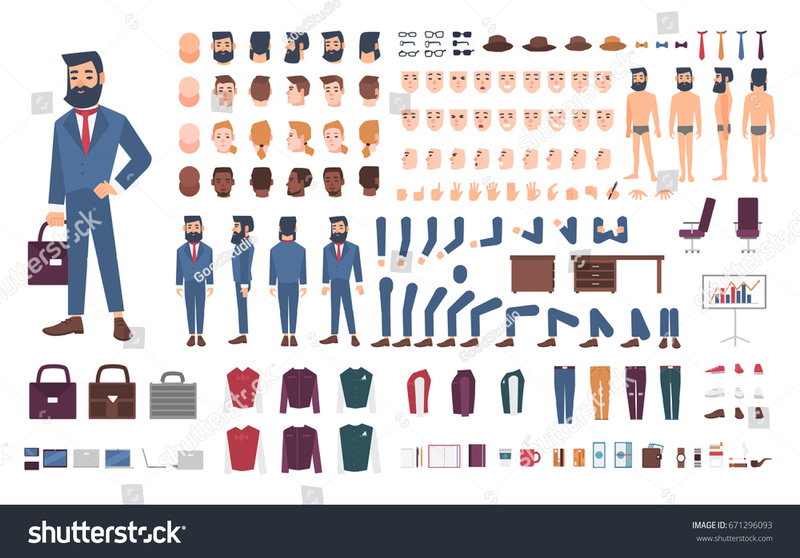 The set includes various facial expressions, haircuts and colors, arms, hands, and legs positions. Comes with 9 facial expressions, body angles, and several arms, hands, and legs positions. You get to choose the skin color, hairstyles and colors, clothes, etc. 30 pre-made looks ready to use in web and print projects. 30 pre-made poses ready to go into your projects. A variety of nationalities, body parts, view angles, accessories, clothes, etc. Experiment with different nationalities, business or casual clothes, body parts positions, accessories, etc. Includes various nationalities, casual clothes and elegant dresses, body parts poses, accessories, and more. 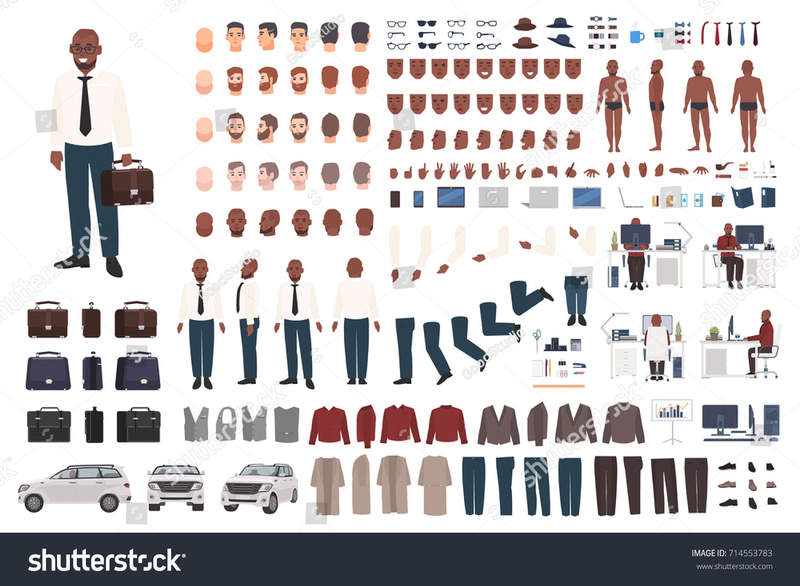 Change nationalities, clothes, body positions, accessories, cars and more. A variety of nationalities, elegant business clothing, body positions, accessories, etc. Easily switch nationalities, outfits, body view angles, accessories, etc. The library includes different heads, facial expressions, clothes, and accessories. Includes facial expressions, body positions, accessories, hand gestures, etc. 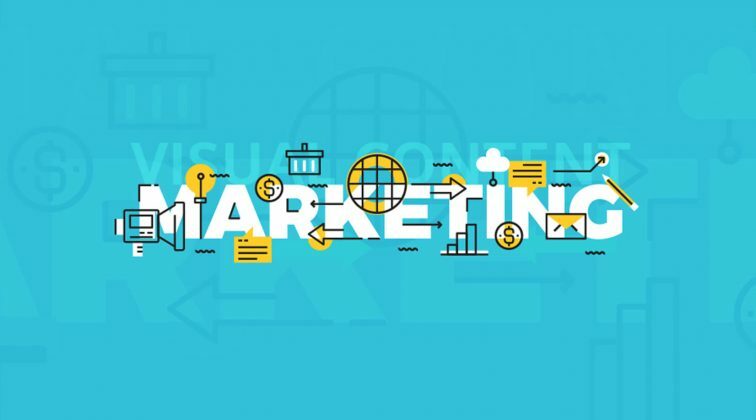 60 pre-made looks ready to be used in your projects. 60 pre-made poses that can be downloaded and used right away. 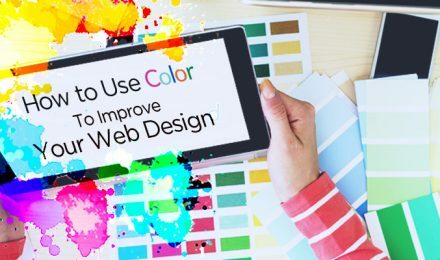 60 ready-made looks that can be used in web and print projects. 60 pre-made looks ready to download and use. 60 looks all set for download and use. 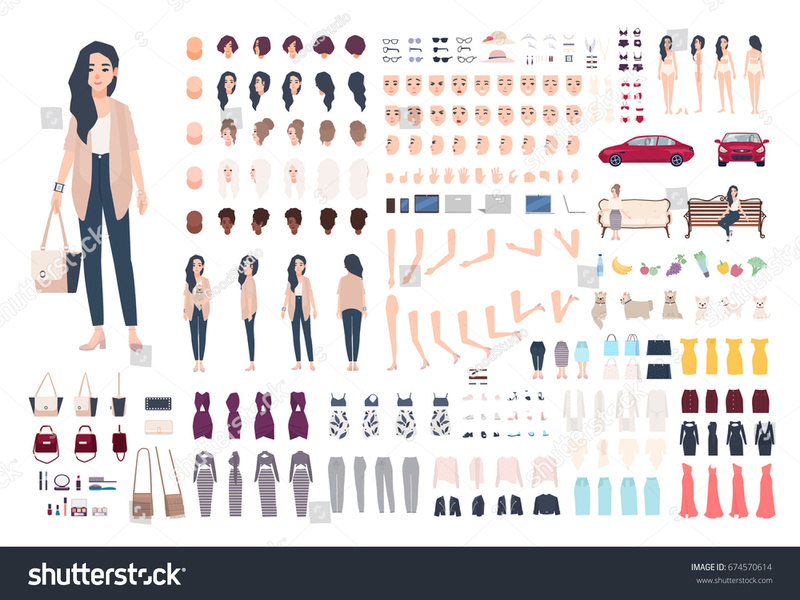 60 attractive pre-made looks ready for download and use. Includes 6 skin tones, 3 hairstyles, 9 hair colors, different view angles, facial expressions, etc. Experiment with 6 skin tones, 3 haircuts, 9 hair colors, various view angles, emotions, gestures, etc. 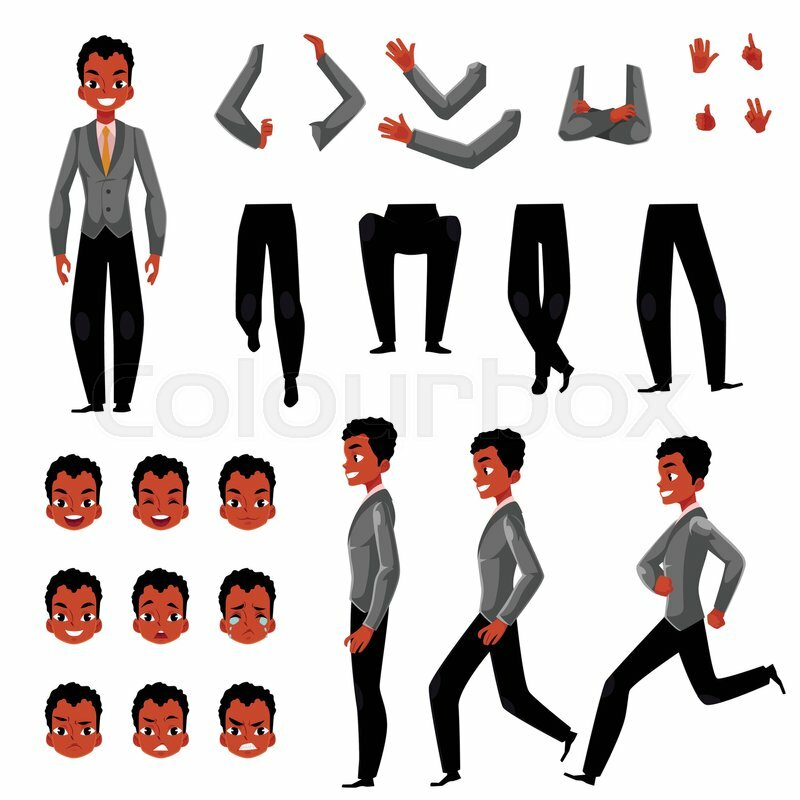 Choose from different skin tones, hairstyles and colors, view angles, emotions, hand gestures, etc. 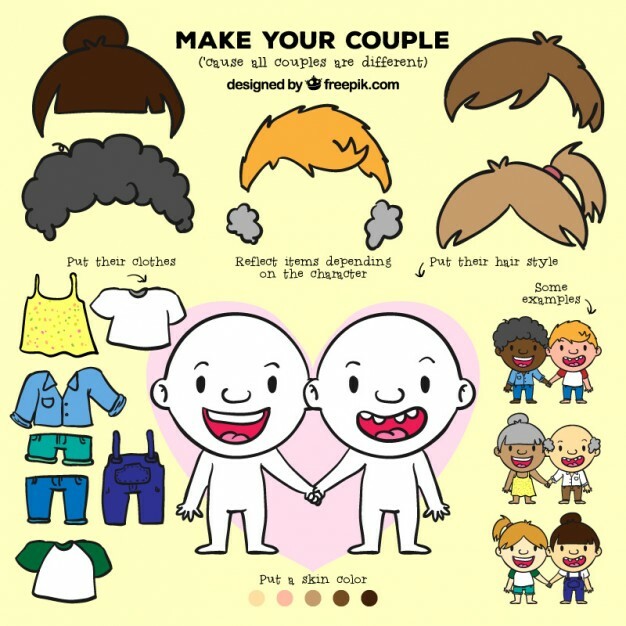 Use different skin tones, customize the hair, apply facial expressions, hand gestures, etc. Fully free to download and use in different print and web projects. 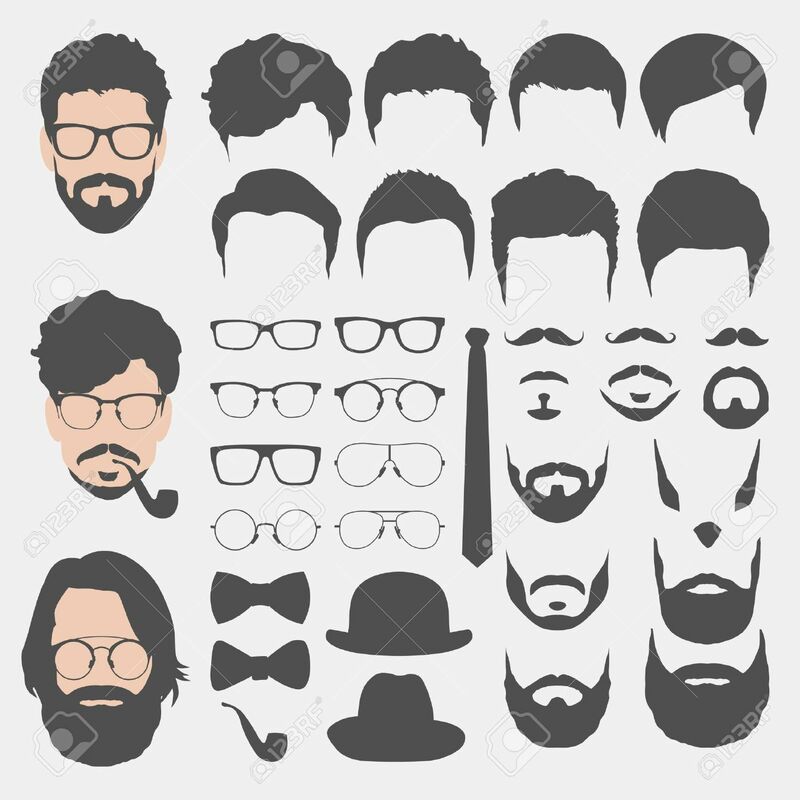 Includes a variety of hairstyles, beards, glasses, bow ties, hats, and other elements. Different superhero costumes, capes, masks, belts, and hairstyles. 80 pre-made looks that you can download and use right away. 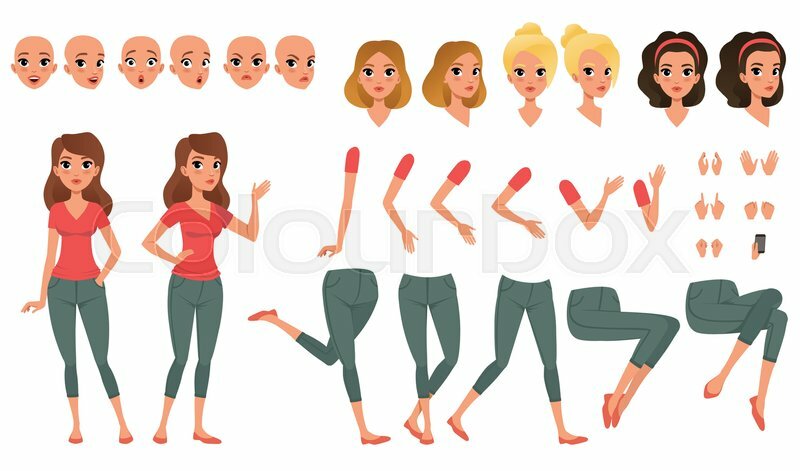 Choose among different emotions, hairstyles, view angles, body parts positions, and accessories. Frontal and side facial expressions, different hairstyles, body positions, and accessories. 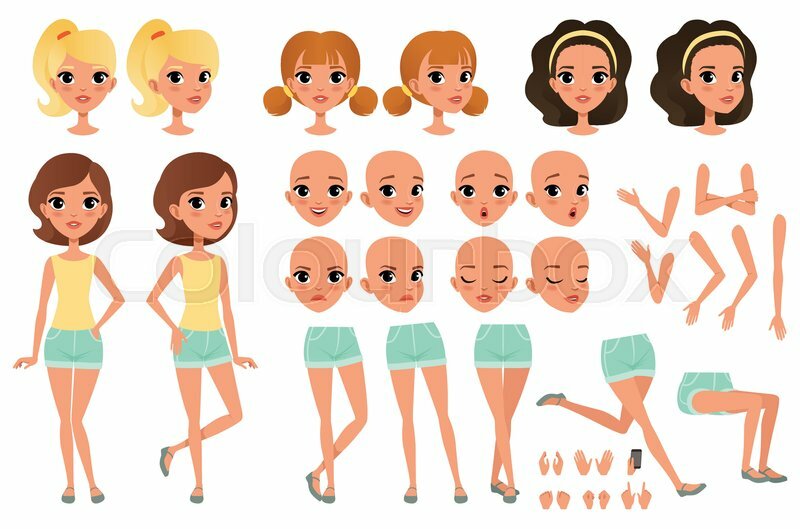 Frontal and side face emotions, different haircuts and colors, various body positions and accessories. 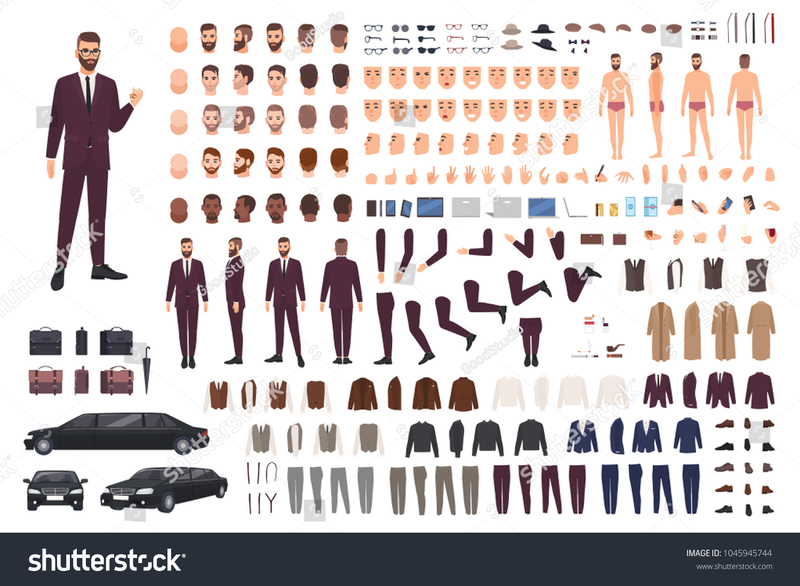 A symbol library including textures, legs, mouths, eyes, body parts, etc. 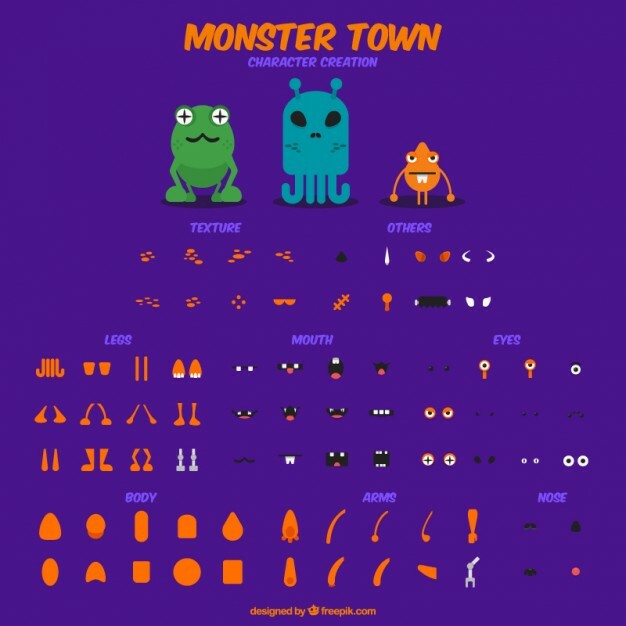 82 pre-made vector monsters ready to be used. 70 pre-made vector robots ready to be downloaded and used in projects. 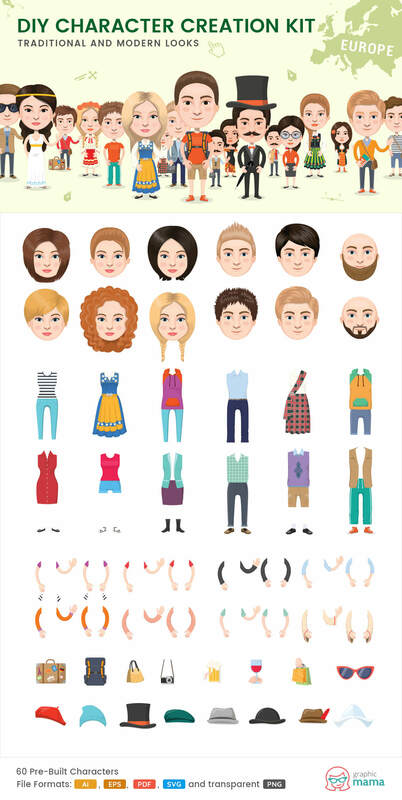 70 pre-made emoji characters ready for download and use. So many possibilities, right? 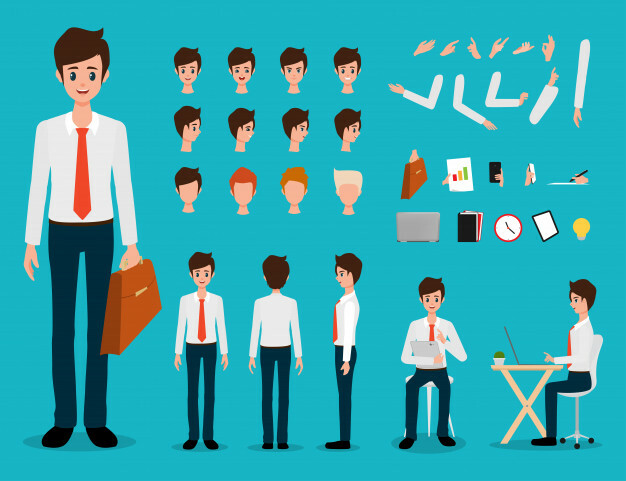 We hope we’ve been helpful with this collection of do-it-yourself vector graphic kits. 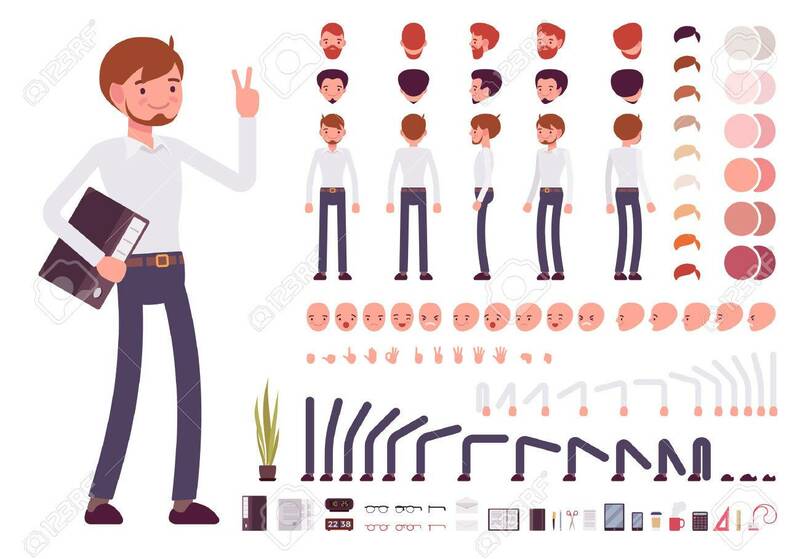 Feel free to share your own creations in the Comments section below, or share tips on how to combine elements and create your own character in Illustrator. See ya! 80 Illustration Based Web Designs: Mega Pack, Mega Inspiration!